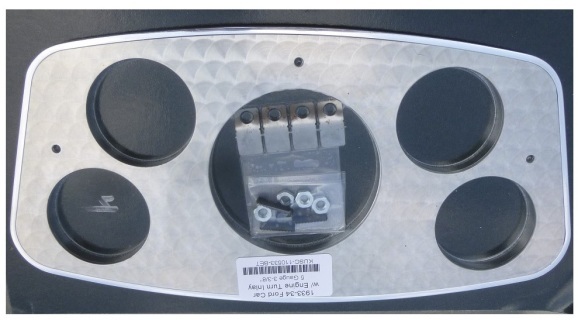 Check bottom of page for LED indicator lights. 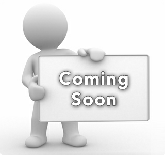 Note: If you have Auto Meter or VDO please check gauge size before you order. 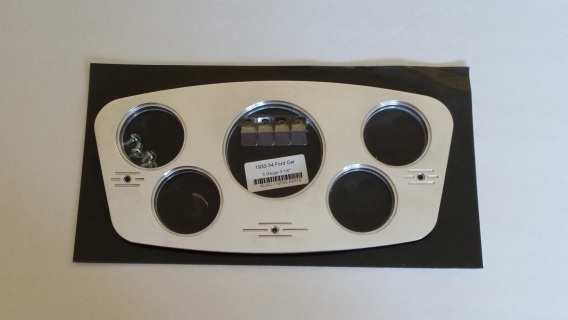 1933-34 Ford 5 Gauge Panel made from Engine Turned Aluminum. Billet Outer Bezel and Aluminum Insert. Panel only. gauge not included. No hinge or latch. 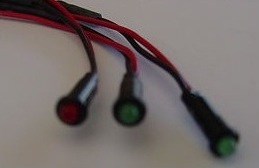 Red (1) Green (2) LED'S 5/32"